Are You Looking to Narrate Your Own Audiobook? Elephant Audiobooks has helped a countless number authors narrate their own audiobooks. In fact, the first few projects that helped form our company were author narrated audiobooks. Fast forward five years and we have quickly become the go-to producer for authors looking to narrate their own audiobooks. We record authors both at studios outside of Boston, MA and at any one of our approved partner studios around the US, Canada, and worldwide. 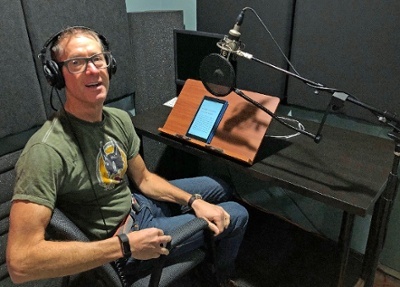 David Meerman Scott records at our studio in Arlington, Massachusetts.